Discussion in 'iPhone and iPad Games' started by TouchArcade Bot, Apr 20, 2016. Easy games are no fun! 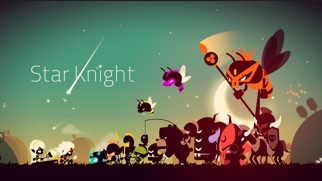 If you are tired of meaningless automatic actions, Star Knight is the perfect game for you! 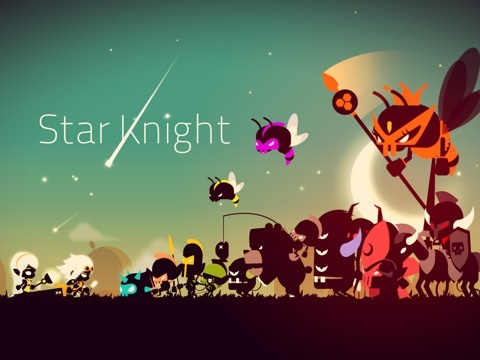 A fantastic balance between gorgeous graphics, adventure, and action, challenge yourself to the high level action platform game, Star Knight! The peaceful planet Gaon is under attack by hordes of monsters, and Dark Dragon Nidhogg took away the sun. Can the knight ‘Naro’ overcome the challenges ahead and bring back peace? * Complete the beautiful yet different stages! 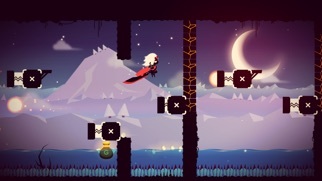 - Try again and again to reach the objective of stages full of various terrain and unique traps. 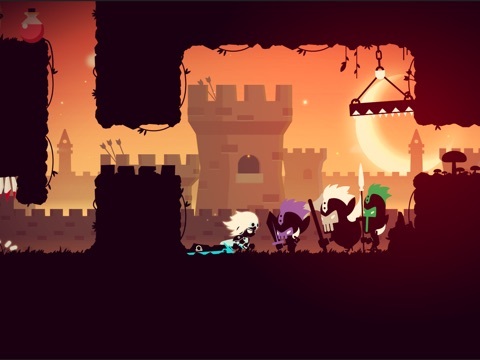 - Defeat increasingly powerful and diverse enemies. You will be rewarded with satisfying hits during your attack! 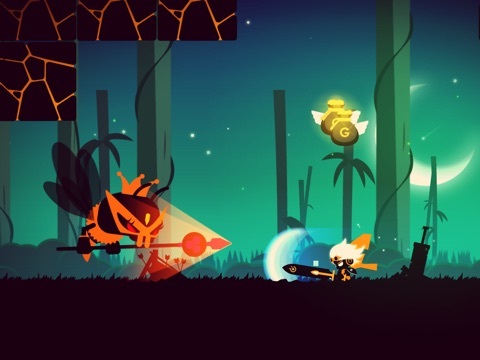 - Overcome bosses with special and powerful patterns and claim your reward! * Collect and grow your character! - Purchase powerful weapons with the coins you’ve collected! Better swords can contain more skills. - Collect runes to claim more powerful and impressive skills. - Find hidden items and jewel chests. Your character will become more powerful! * Participate in the competitive arena mode! - Fight as you wish in the simple stages of arena mode, and claim coins! 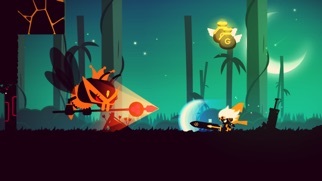 - Survive the endless wave of enemies as long as you can and compete with other players! Please, please be and control as good as you look! Due to my store, version 1.0 is from 29.1.16. But watch the menu screen...hmm!? Anyone know what the IAPS are for? Woah... This looks good. Boss battles too. I forgot to buy an app store "iap", so my balance is at $5.50. This is reserved for Goo Saga (if it comes out tomorrow, Earth days featured). If not, this will be it to toftt. Count me as interested too. Already playing Goo Saga on Android (it's sooooo good) and addicted to Pang Adventures too. But would love to hear imps on this one. Bought, will leave some impressions after I play it. 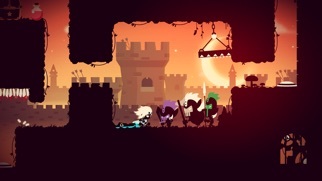 Ok, so I took one for the team because this game just looked too good to pass on, even with the iap. And so far so good. 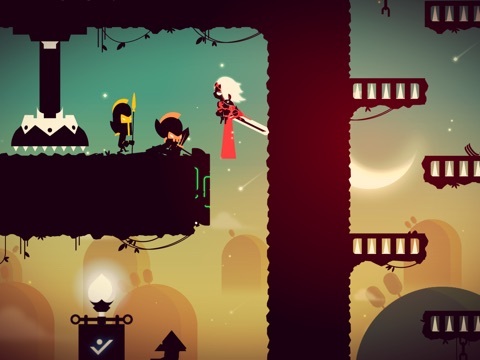 Think Goblin Sword with a sprinkle of Dust: AET. The game is your classic action plataformer, with hidden areas, chests, and three star rankings on stage based missions. 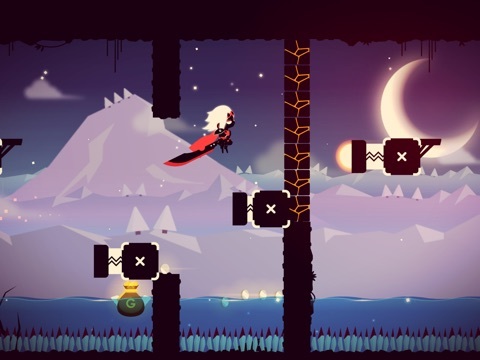 Each level seems to have a rune, that will unlock skills as you accumulate enough of them. I've only unlocked the first skill, which is a basic vertical swipe with double damage and a cooldown. Controls are responsive and you can adjust their position, but not resize them. Supports Mfi, which is always cool. IAPs are for gold, and the highest is 8.99 for like 1.200.000 coins, which seem to come in plenty by playing the game anyway. 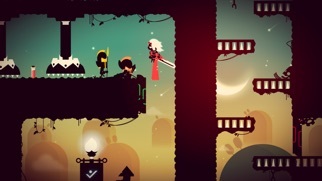 There are checkpoints, though the first levels are so short they're not really needed. Also, if you die you lose some gold, but you can retry and recover it by going back to the place you died. Missions seem to be timed, and a fast time is probably essential to nail those three-star ratings. Oh, and the game is gorgeous. Only downside is the menu design, imo, and the fact that if you keep the jump button pressed you don't get killed by spikes. All in all, if you think you might enjoy it, you probably will. You can't choose the difficulty, but its not really that hard, at least in the beginning. It'll probably get harder as you get more skills and enemies start posing more of a challenge, but it doesn't seem to be "Lost Socks" hard, if that's of any help. I remember seeing this in top paid chart in Korean AppStore. Gonna grab it. Any idea how many levels or worlds it has? Also, forgot to mention it supports iCloud, if anyone was wondering. I bought it because it has arenas for replayability. But each world seems well crafted so far. 5 worlds so far, there's a coming soon section. And in the first world there are 12 levels. Looks like this game has been out on Android since February with a 4.5/5 rating from over 2,000 reviews. Kind of suspicious about that number considering there are only a handful of written reviews (looks like they're in Korean). Not excited about the IAPs as I've fallen into traps where there suddenly is a difficulty spike and that gold ends up not really being enough. But sounds good from what you guys are saying.